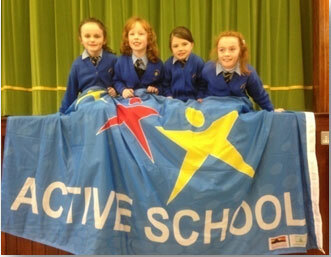 The Active School Flag was launched by the Department of Education & Skills in 2009. It is a non-competitive initiative which seeks to recognise schools (both primary and post primary) that strive to achieve a physically active and physically educated school community. Plan and implement a series of changes that will enhance PE and extra-curricular provision and promote physical activity. 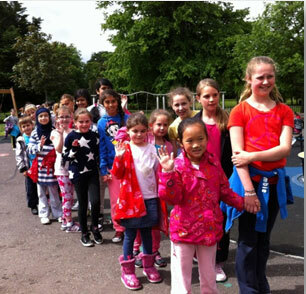 In 2013 we received our Active School Flag as recognition for our efforts in promoting physical activity in school. The children engage in a range of activities in school, including regular PE lessons, Gymnastics, Dance, Basketball, Volleyball, Football, Athletics, Walk to School Initiatives and school trips to local areas of interest. At the end of the school year we have an Action Week to promote physical activity in our school community.